What is goto statement in C#? What is the functionality of goto statement? How to use goto statement in C# programming? The goto statement is a jump statement that controls the execution of the program to another segment of the same program. 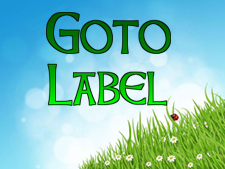 You create a label at anywhere in the program then can pass the execution control via the goto statements. In this chapter, you learned what goto statement is in C# and how to use it in programming. In next chapter you will learn about break statement in C#.